Acid reflux is a common occurrence, but many people may not know the technical name of the most severe type of reflux. It’s GERD, the global term for reflux, said Dr. Mark H. Johnston, a gastroenterologist with Regional GI, which has several locations in the Lancaster area. GERD manifests itself in several forms. Dr. Mark H. Johnston, Gastroenterologist at Regional GI. “Some forms are connected with erosions or ulcers, reflecting damage to the lining of the esophagus,” Johnston added. On the other hand, one of the forms of GERD is NERD, which stands for nonerosive reflux disease and is GERD that presents with no damage to the lining of the esophagus. GERD has many causes. Among them are obesity (with extra fat on the abdominal wall); smoking; alcohol, though drinking in moderation is probably OK, Johnson said; all caffeinated and carbonated beverages; and fatty foods. People are also different in their response to different foods. When it comes to obesity, Johnson pointed out it’s been shown that even a small weight loss, like 10 pounds, can make a difference in the symptoms of GERD. Pregnant women are more susceptible to acid reflux and GERD. Abnormalities of the GI tract, such as a hiatal hernia, are another cause. So are certain medications, such as anti-inflammatories like Motrin and Aleve, as well as some blood pressure and heart medications. While GERD can often be treated with changes in one’s diet or lifestyle, sometimes medication or even surgery is needed. Among the possible medications are H2 blockers, such as Zantac, and antacids, like Maalox or Mylanta. If medication proves ineffective or not effective enough, the next step is surgical procedures. 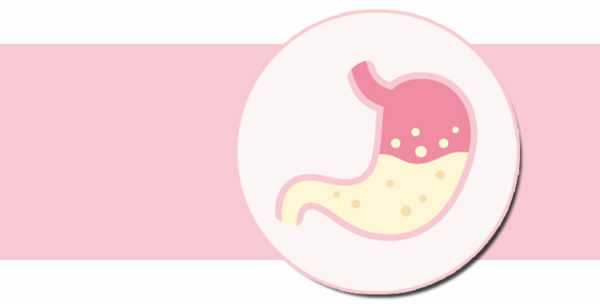 The main diagnostic procedure is the EGD (esophagogastroduodenoscopy) or a gastroscopic or 24-hour esophageal pH study. “The patient should have endoscopy, especially if he/she has any difficulty breathing, [experiences] weight loss, or is over 50 — especially males — if the GERD is chronic,” said Johnston. An ambulatory pH study involves a little probe going through the patient’s nose down to the esophagus. It’s attached to a small computer for 24 hours and to a clock. The patient goes home with a diary and notes the symptoms. The ambulatory pH test is for evaluation of GERD symptoms not responding to standard therapy and for atypical symptoms, which are symptoms mimicking lung or heart disease, such as chronic cough, persistent asthma symptoms, or chest pain that feels and sounds like heart disease but has been proven by a cardiologist not to be. Another diagnostic tool is the stretta procedure, a device that uses radio-frequency ablation (heat) in the lower esophagus to treat GERD. The procedure burns the muscle at the lower esophageal sphincter center. Johnson’s practice, which sees “thousands of patients,” doesn’t perform the procedure or refer people for it. “It’s only for rare forms of reflux, and it has only an 80 percent success rate,” he asserted. Most people respond better to other therapies. In general, Johnston knows of few practices that use the stretta procedure. Johnston does refer patients for Nissen fundoplication, which can be done laparoscopically on an outpatient basis for very healthy patients. This procedure takes the top of the stomach and wraps it around the end of the esophagus. It has a 95 percent success rate as a surgical procedure, he said. Can untreated GERD lead to more serious consequences than discomfort? The answer is yes. A small percentage — 10-20 percent — of patients with long-term GERD will develop Barrett’s esophagus, which is associated with an increased risk of esophageal cancer. Barrett’s esophagus develops when acid burns off the lining of the esophagus and is replaced by an abnormal, new type of esophageal lining. This new lining, called Barrett’s esophagus, is more resistant to acid but is more cancer prone. 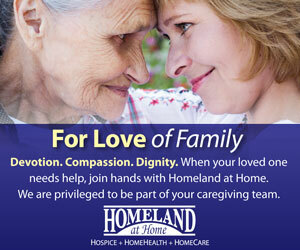 “Esophageal cancer is the fastest-rising cancer in the Western world (though not the most common),” said Johnston. “It used to be very rare. But esophageal cancer is completely preventable; it can be screened for and treated early. “The increase in esophageal cancer may be related to the obesity epidemic or the way food is processed, unknown and unproven [factors],” said Johnston. A lot of people who develop Barrett’s esophagus may lose the symptoms of heartburn, but that’s a bad thing: It means the esophagus underwent a change. 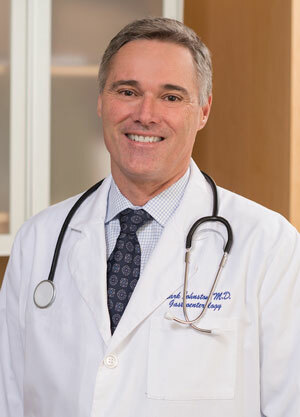 Johnston is the inventor of low-pressure cryospray ablation, which uses liquid nitrogen to cure Barrett’s esophagus and early-stage esophageal cancer. This works by freezing the abnormal tissue, which then blisters and sloughs off.